The N3 near Cliffdale west of Durban has been opened after community members blockaded it with burning tyres and stones earlier on Sunday. 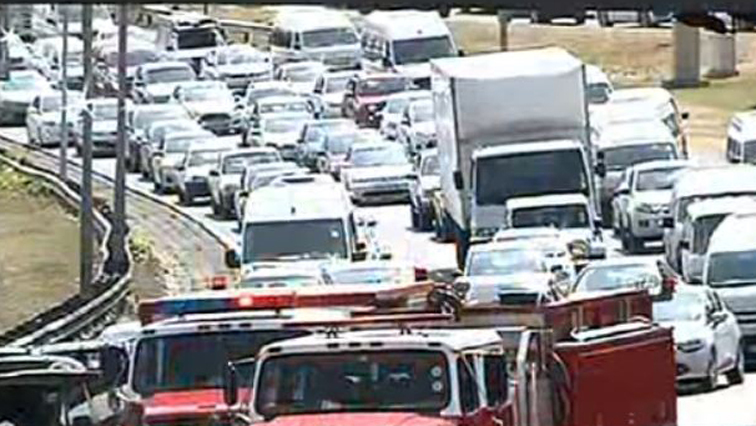 Earlier, traffic came to a standstill on the N3 near Cliffdale. It is alleged the protesters were stopping trucks and demanding to see their drivers’ licences. KwaZulu-Natal Road Traffic Inspectorate Spokesperson Zinhle Mngomezulu says they were targeting drivers who are foreign nationals. He says it is still not clear what their demands are. She says no arrests or injuries have been reported. The post N3 opened following protest appeared first on SABC News – Breaking news, special reports, world, business, sport coverage of all South African current events. Africa's news leader..